e-newsletter » News and Upcoming Shows. 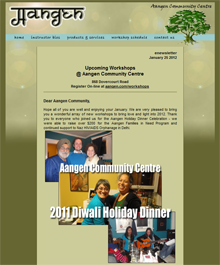 e-news 14.1215 » Upcoming Workshops @ Aangen Community Centre. 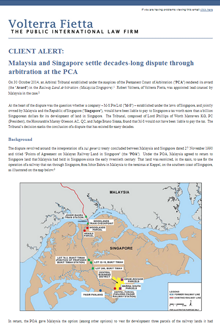 Client Alert 1 December 2014 » Malaysia and Singapore settle decades-long dispute through arbitration at the PCA. e-news 14.1201 » Christmas, All Jazzed Up @ The Old Mill Inn,Electro Swing TO ~ Jingle@ Revival Bar, World/Jazz Fridays @ Lula Lounge and NEW YEARS EVE 2014 @ Kama & Massey Hall. 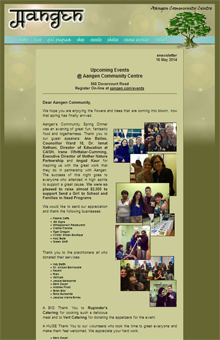 e-newsletter » FYFB Open House and Volunteer Appreciation Night on Wednesday 26 November 2014.
e-news 14.1118 » Upcoming Workshops @ Aangen Community Centre. e-news 14.1110 » 7th Anuual New Orleans Stomp Featuring Dr. Michael White and Gregg Stafford @ Hugh's Room, The Love Shack Retro Dance Party with Fred Schneider @ Phoenix Concert Theatre, Inanna @ MOD Club, JAZZ.FM91 Youth Big Band with P.J. Perry @ The Old Mill Inn, World/Jazz Fridays @ Lula Lounge and Jazz in Yorkville @ Toni Bulloni Restaurant. e-newsletter » Six Nominations for 9th Annual Black and White Spider Awards and World Wide Art Los Angeles Exhibition. e-news 14.1017 » Upcoming Workshops @ Aangen Community Centre. 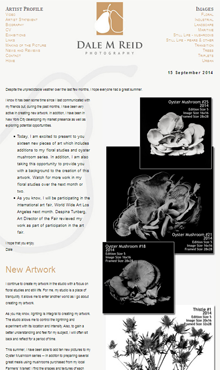 e-newsletter » New Artwork and World Wide Art Los Angeles Exhibition. Client Alert 8 October 2014 » LCIA Introduces New LCIA Arbitration Rules. e-news 14.1006 » Harold López-Nussa @ Jazz Bistro, World/Jazz Fridays @ Lula Lounge, McMichael Canadian Art Collection Concerts, Jazz in Yorkville @ Toni Bulloni Restaurant, Larry Coryell in Concert @ The Old Mill Inn and November Special Announcements. e-news 14.0923 » Upcoming Workshops @ Aangen Community Centre. e-newsletter » New Artwork, World Wide Art Los Angeles review and Upcoming Exhibitions. e-newsletter » Lucky Ball raises $40,000, TTC Blitz raises $17,000, FYFB receives 4-star rating from Charity Intelligence, FYFB appreciates Peter L. and CIBC, and Upcoming Events. e-news 14.0904 » Jazz in Yorkville @ Toni Bulloni Restaurant, Brantford Jazz Festival, McMichael Canadian Art Collection Concerts, South Coast Jazz (Norfolk County), The JAZZ.FM91 Sound OF JAZZ CONCERT SERIES, and World/Jazz Fridays @ Lula Lounge. e-news 14.0903 » Upcoming Workshops @ Aangen Community Centre. e-news 14.0814 » Upcoming Workshops @ Aangen Community Centre. Client Alert 8 August 2014 » European Court of Human Rights orders Russia to pay record sum to Yukos shareholders. Client Alert 1 August 2014 » Yukos shareholders win largest arbitration award ever against Russia. Client Alert 17 July 2014 » ICSID tribunal denies jurisdiction for a dispute between a UAE investor and the Arab Republic of Egypt because the investor was not under foreign control. Client Alert 16 July 2014 » Annex VII Arbitral Tribunal delimits maritime boundary between Bangladesh and India in the Bay of Bengal. e-news 14.0707 » Upcoming Workshops @ Aangen Community Centre. Client Alert 20 June 2014 » UNCITRAL tribunal denies jurisdiction for a dispute between an Austrian investor and the Slovak Republic because of parallel domestic proceedings. e-news 14.0620 » Upcoming Workshops @ Aangen Community Centre. Client Alert 12 June 2014 » Largest Energy Charter Treaty award ever leaves provisional application for Gibraltar in limbo. e-news 14.0610 » Jazz in Yorkville @ Toni Bulloni Restaurant, JAZZ.FM91 Youth Big Band Fundraiser @ Lula Lounge, THE TD Toronto Jazz Festival, and Gary Morgan's PanAmericana returns to Lula Lounge. e-news 14.0609 » Upcoming Workshops @ Aangen Community Centre. e-news 14.0516 » Upcoming Workshops @ Aangen Community Centre. e-newsletter » @ Scotiabank Contact Photography Festival. e-news 14.0425 » Lula Loves JAZZ.FM – A Jazz Jam @ Lula Lounge, Jazz, Blues And Cabaret @ Toni Bulloni Restaurant, Thursdays In May @ The McMichael Canadian Art Collection, and Crad's Wake @ The Painted Lady. Client Alert 22 April 2014 » Ukraine crisis: The Geneva Accord and the status of EU and U.S. sanctions. e-news 14.0422 » Upcoming Workshops @ Aangen Community Centre. Client Alert 11 April 2014 » Germany opposes the inclusion of investor-state dispute settlement provisions in EU-U.S. free trade agreement. e-newsletter » Second ArtBomb Photo Auction on Sunday 13 April. Client Alert 8 April 2014 » ICJ delivers judgment in Whaling Dispute between Australia and Japan. e-news 14.0403 » Upcoming Workshops @ Aangen Community Centre. e-news 14.0331 » Jaymz Bee's Birthday Bash @ Lula Lounge, Dinner & Show @ Bloom, Lula World/Jazz Friday Dinner Special, Don Francks & Steve Hunter @ The Jazz Bistro Cellar, JAZZ.FM91 Cabaret Series presents: CADENCE @ Hugh's Room and JAZZ LIVES 10th Anniversary @ Koerner Hall. e-newsletter » Upcoming Auction in ArtBomb Photo. 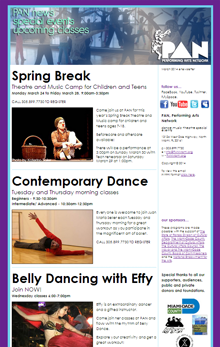 e-news 14.0319 » Special events publication for Miami, Florida performance arts and culture organization. e-news 14.0318 » Upcoming Workshops @ Aangen Community Centre. special event announcement » Last Chance to get your Lucky Ball 2014 Tickets. 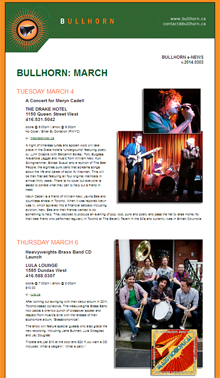 e-news 14.0303 » A Concert for Meryn Cadell @ The Drake Hotel, Heavyweights Brass Band CD Launch @ Lula Lounge, Sundays in March @ The Jazz Bistro Cellar with Don Francks, The Lucky Ball – Benefitting Fort York Food Bank @ Revival, and Alex Samaras and Sophia Perlman: The Songs of Sondheim @ Hugh's Room. e-news 14.0221 » Upcoming Workshops @ Aangen Community Centre. 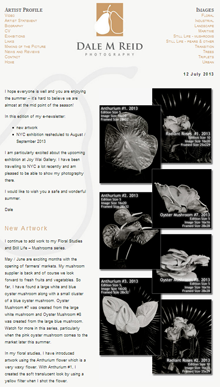 e-newsletter » Reviewed in arte fotográfico (Spain) and Upcoming Exhibitions. 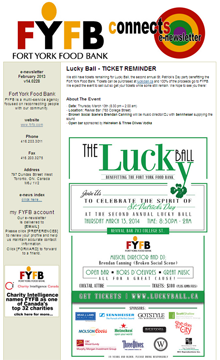 special event announcement » The Lucky Ball - Benefitting The Fort York Food Bank. e-news 14.0204 » Jorge Luis Torres 'Papiosco' & Iroko Project, 'Ancestral' album release @ Lula Lounge, Pam Hyatt in concert @ Dominion On Queen, Swing Shift Big Band Valentine's Ball @ Palais Royale, WINTERFOLK, Don Francks: CD release @ Lula Lounge. e-news 14.0131 » Upcoming Workshops @ Aangen Community Centre. Client Alert 30 January 2014 » ICJ delimits maritime boundary between Peru and Chile in the Pacific Ocean. 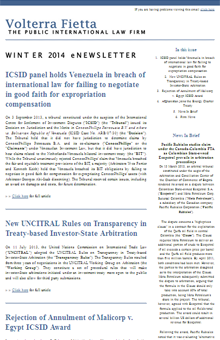 Winter enewsletter 14.07127 » ICSID panel holds Venezuela in breach of international law for failing to negotiate in good faith for expropriation compensation, New UNCITRAL Rules on Transparency in Treaty-based Investor-State Arbitration, Rejection of Annulment of Malicorp v. Egypt ICSID Award, Afghanistan joins the Energy Charter Treaty, News In Brief and Firm News. 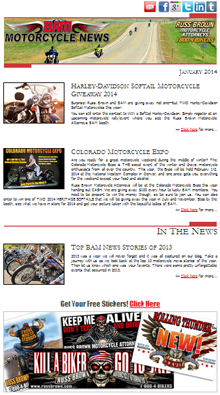 BAM enewsletter 23 January 2014 » News, contests and upcoming events from leading USA-based motorcycle injury accident law firm for BAM members (FREE Breakdown and Legal Assistance for Motorcyclists). e-news 14.0114 » Upcoming Workshops @ Aangen Community Centre. e-news 14.0108 » Dave Young Quintet: Tribute To Horace Silver @ The Jazz Bistro, Jazz by 3 + Ron Davis's Symphronica + David Buchbinder's Odessa Havana @ Lula Lounge, The JAZZ.FM91 Cabaret Series @ Hugh's Room, and Richard Underhill for Mayor.